Lisa de St. Croix was born in Johannesburg, South Africa. She received her Bachelor of Fine Arts from the School of Visual Arts in New York. Lisa has exhibited her paintings throughout United States including New York, Boston and Santa Fe as well as internationally in South Africa, France, Portugal and Mexico. Lisa’s paintings are in many private and public collections. Lisa is world known for her tarot and oracle decks. Tarot de St. Croix, an award winning tarot deck of 78 mystical paintings was published in 2014, de St. Croix Lenormand – Oracle Deck in 2017 and Invoking the Goddess – Oracle and Action in 2019. Lisa has designed sets, written and produced puppet shows and has painted several murals on public buildings. 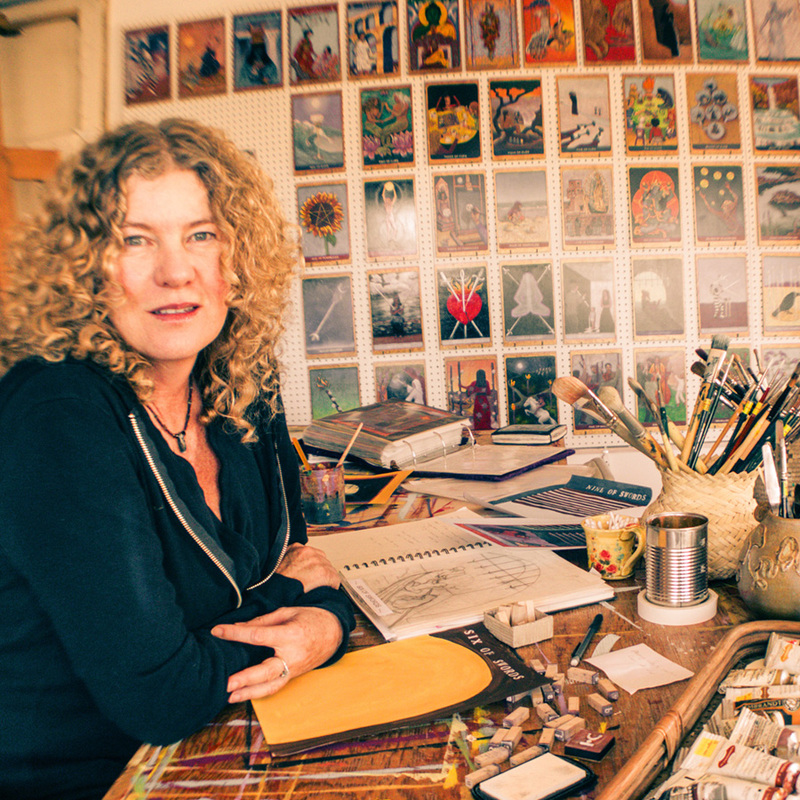 Her paintings and oracle decks are inspired by her visions, travels and experiences. Lisa teaches art workshops around the world as well as in her Santa Fe, New Mexico studio.